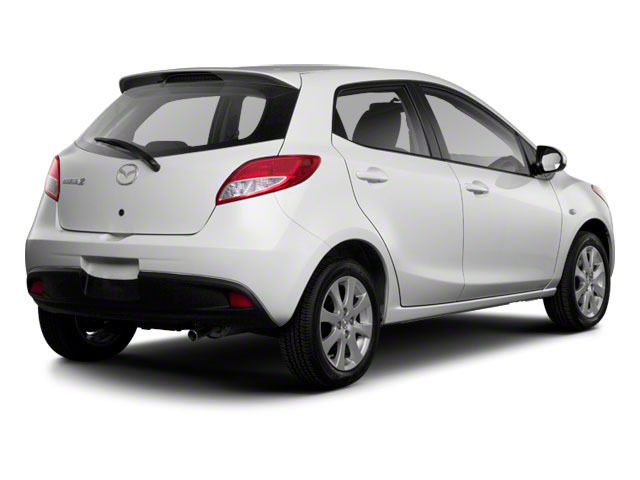 The Mazda2 carries over into 2014 mostly unchanged. New exterior colors include Jet Black, Blue Reflex, and Zeal Red. Although built for several other worldwide markets as the Mazda Demio, the Mazda2 made its American-market debut in 2011. It is offered only as a hatchback. The Mazda2's sole engine option is an all-aluminum 1.5L twin-cam 4-cylinder with variable valve timing that makes 100 horsepower and 98 lb-ft of torque. It can be paired with either a 5-speed manual or a 4-speed automatic front-wheel-drive transaxle. Fuel economy performance is estimated at 29 city and 35 highway for the manual; 27 city and 33 highway for the automatic. 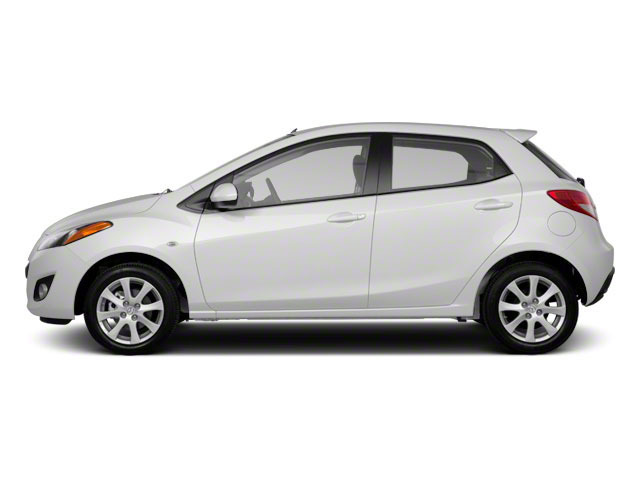 Although both the Honda Fit and the Ford Fiesta make more power (117 horsepower and 120 horsepower, respectively), weight is where the Mazda2 has the upper hand, as it weighs in at just over 2,300 pounds, compared to the Ford's 2,600 pounds and the Fit's 2,500 pounds. This helps level the field in terms of acceleration, and gives the Mazda2 more of a sporting feel overall. Safety features include anti-lock brakes, traction control, an anti-skid system and a host of airbags including front, side and side curtain units. It also features a brake override system that cuts engine power when both the gas and brake are pressed at the same time. The car is offered in one of two trim levels: Sport or Touring. The Sport model, which starts at $14,720, features electronic power steering, air conditioning, 60/40 folding rear seats, power windows and locks, keyless entry, 15-inch wheels, and a 4-speaker sound system. The Touring model comes in at about $1,500 more and adds aluminum wheels, upgraded seating with red accents, fog lights, a roof-mounted spoiler, cruise control, a leather-wrapped wheel with multi-function controls, a 6-speaker sound system, a chrome exhaust tip, and a trip computer. Options include Bluetooth hands-free connectivity, a roof rack, a cargo net and an auto-dimming compass-equipped rearview mirror. In addition, those who choose the Touring model have the option to add wheel locks, special all-weather floor mats, a center console armrest, and a bumper guard. 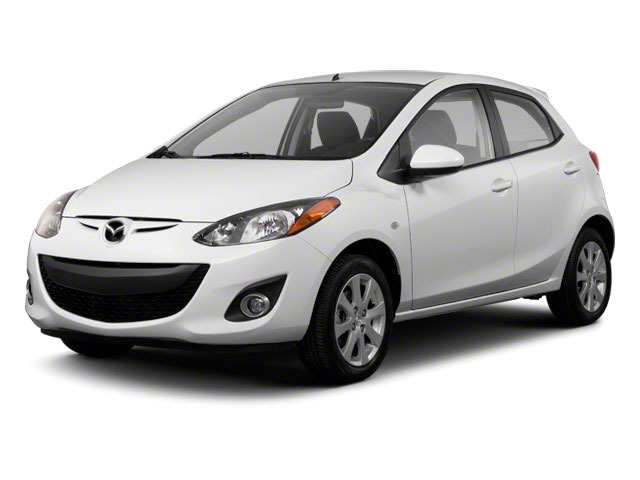 The 2014 Mazda2 is aimed directly at dominating the subcompact economy car market, taking on competitors such as the Chevrolet Aveo, Ford Fiesta, Honda Fit and Nissan Versa. Like the competition, the car offers a pared down feature set, an engine that makes around 100 horsepower, and excellent fuel economy numbers. 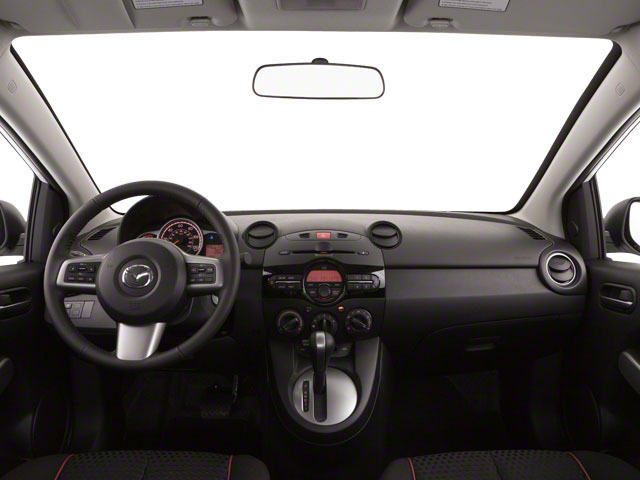 Unlike the competition, the Mazda2 offers surprisingly sporty handling, a roomy and practical interior, standard keyless entry, stability and traction control, and a USB-outlet-equipped stereo.